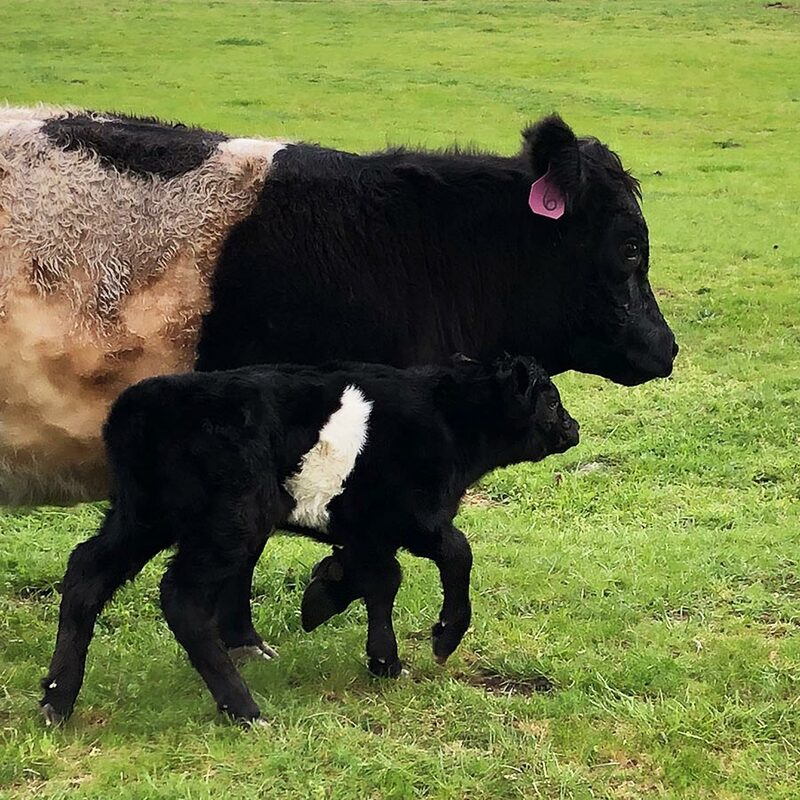 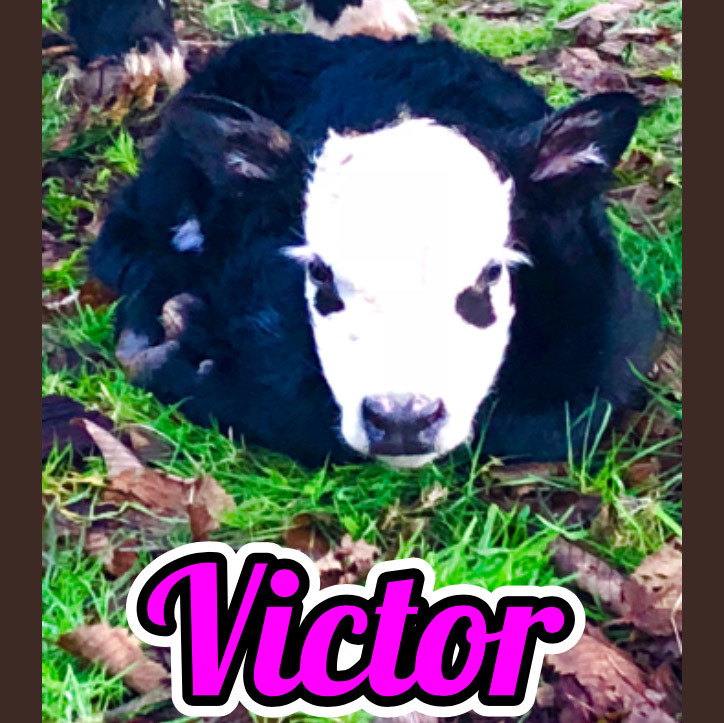 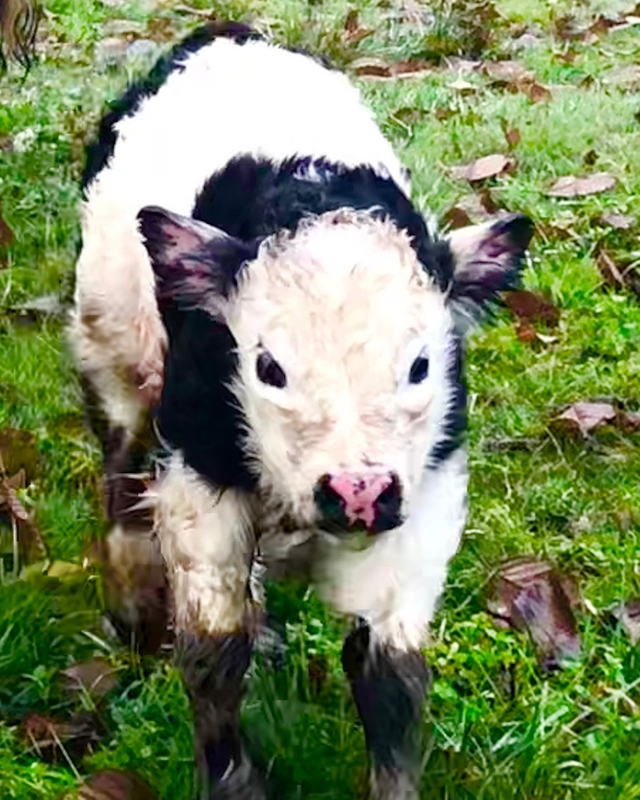 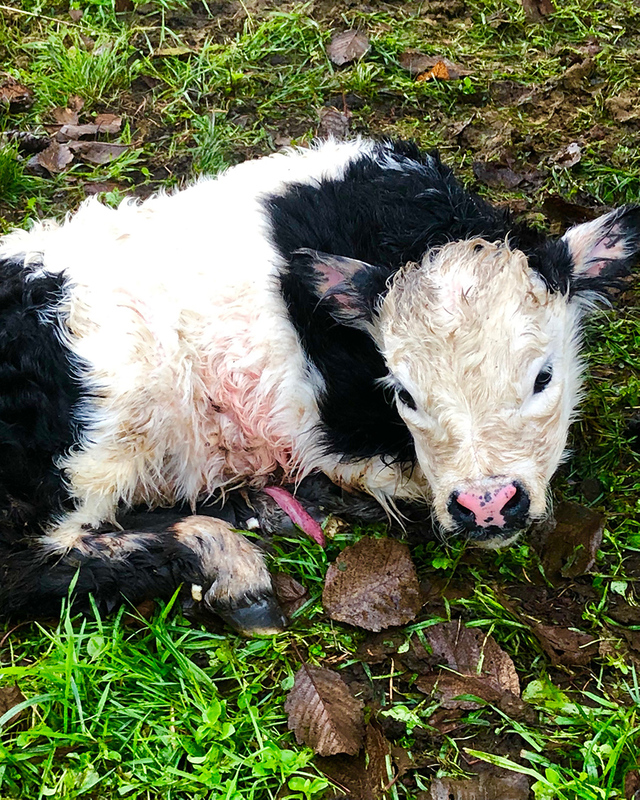 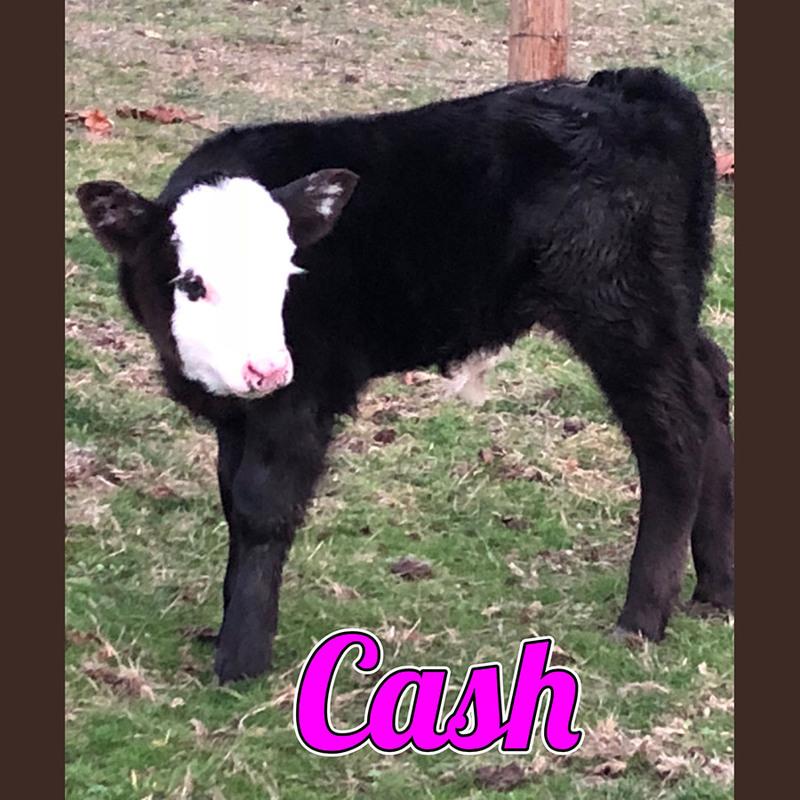 Born: 11/26/2018 Dam: Phyllis Sire: Rebel About: Registered Panda bull calf, with the colors and markings that dreams are made of. 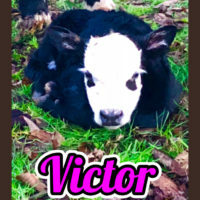 He is among the three smallest calves we have ever had. Spanky remains at Murray Creek Miniatures as an artificial insemination stud. 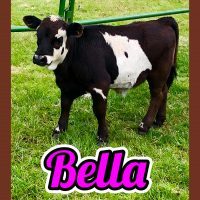 Contact us today to inquire about obtaining samples for your herd. 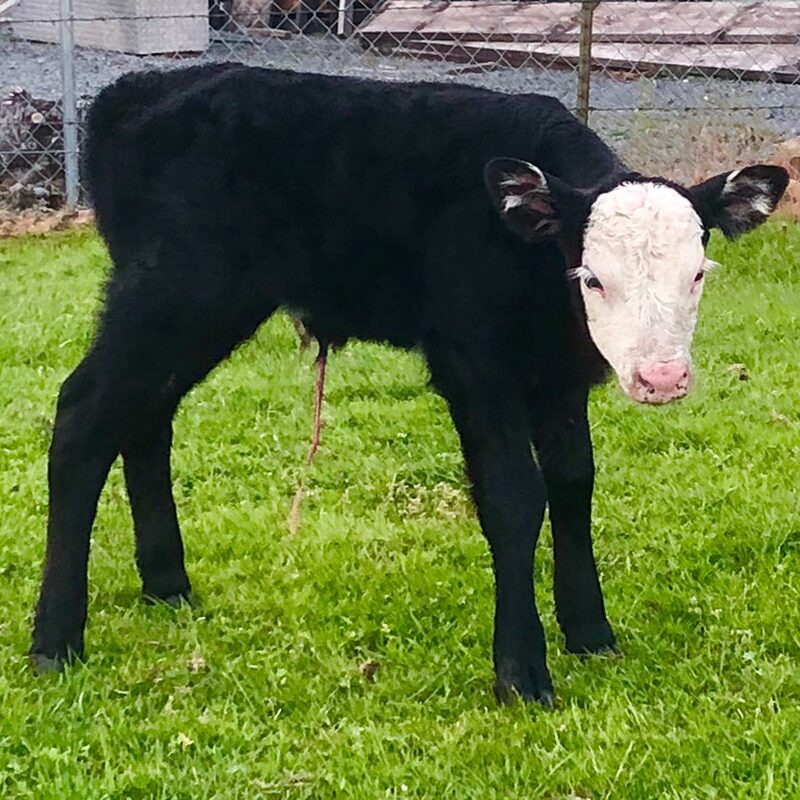 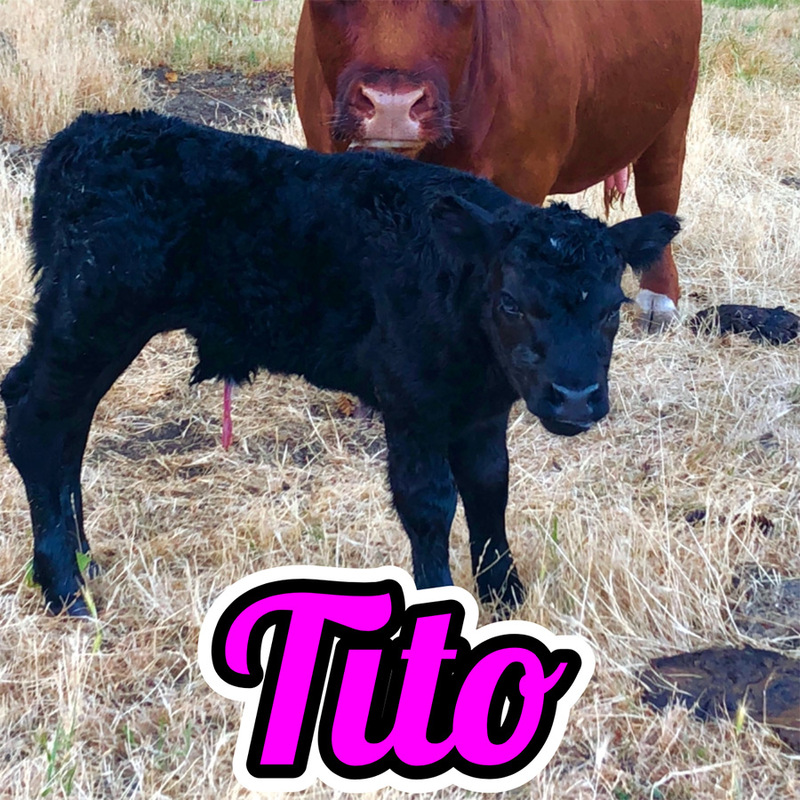 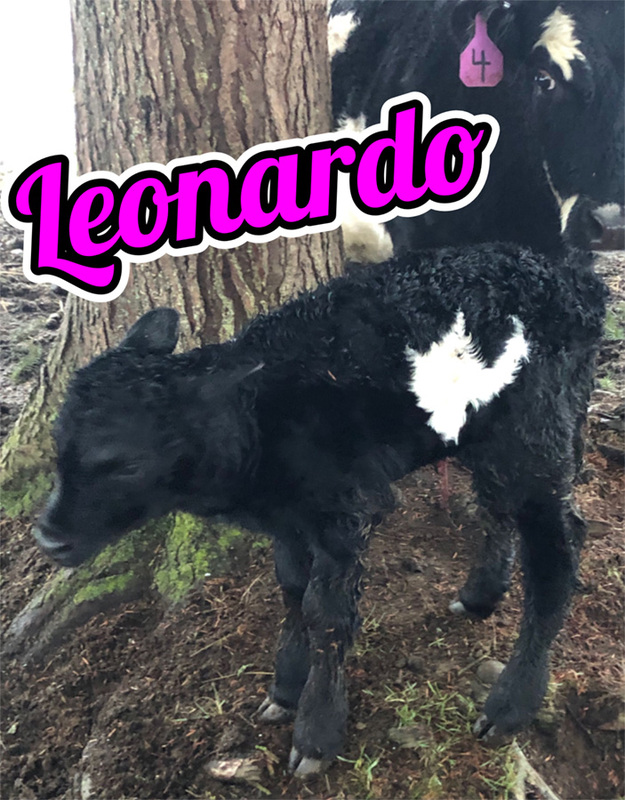 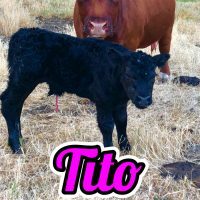 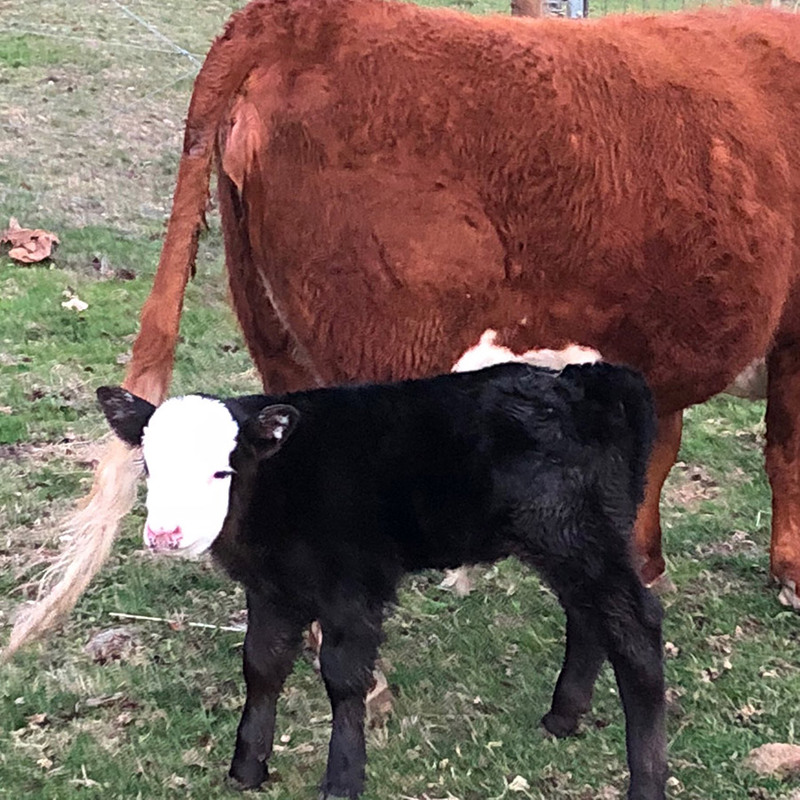 Registered bull calf Born: 04/29/2018 Dam: Squirt Sire: Romeo Expected to mature around 42” tall. 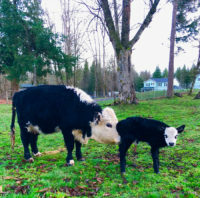 Height is estimated only by the size of parents and size of the calf at birth, and is not a guaranteed height. 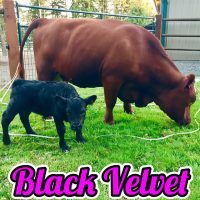 Sold to Cynthia in Oregon for $1,550. 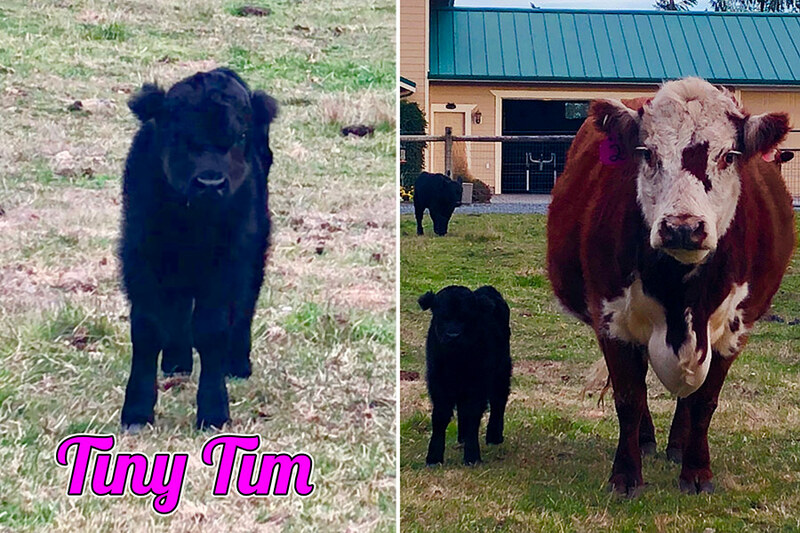 Born: 11/21/2017 Dam: Stella Sire: Romeo Expected to mature around 41"-42” tall. 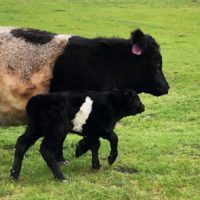 Height is estimated only by the size of parents and size of the calf at birth, and is not a guaranteed height. 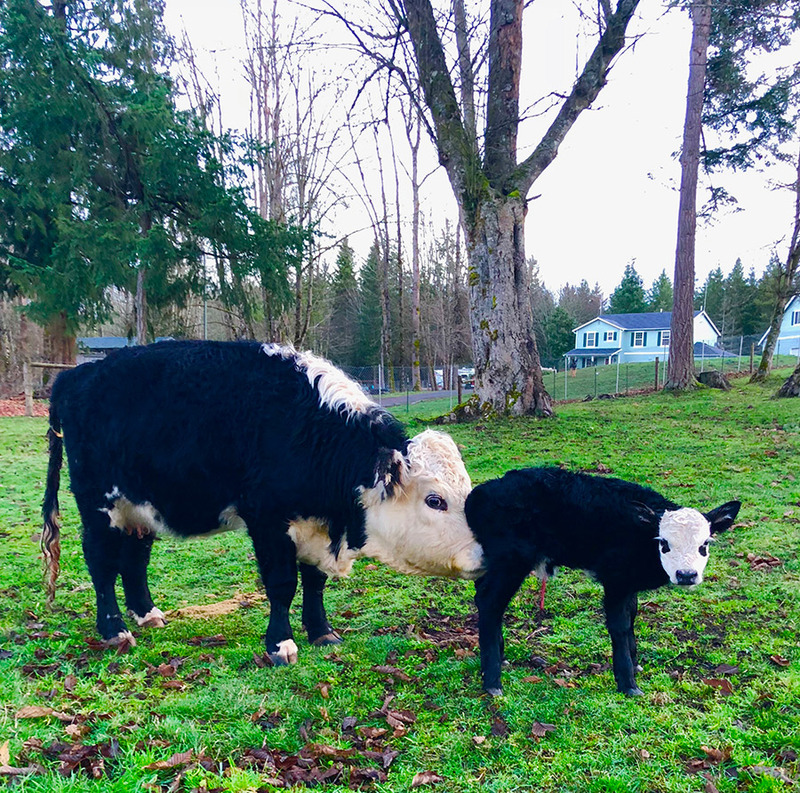 Sold to Randy in Snohomish for $750.00. Born: 10/14/2017 Dam: Phyllis Sire: Rebel Very tiny and fuzzy. 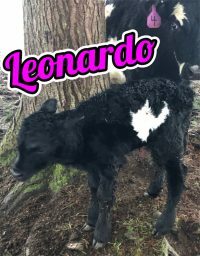 Expected to mature around 38/39” in height. 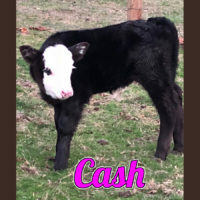 Sold to Courtney & Matt in Roy, WA for $2,500. 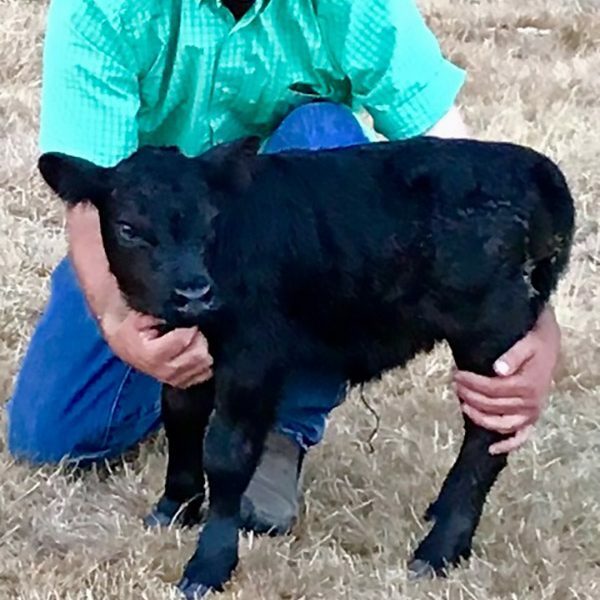 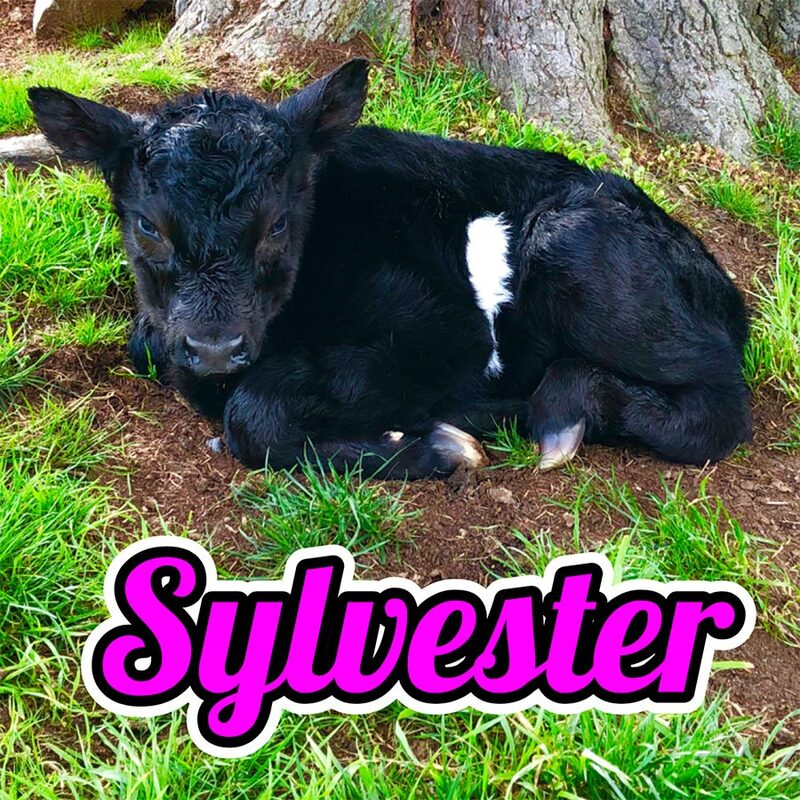 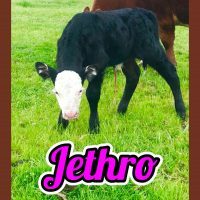 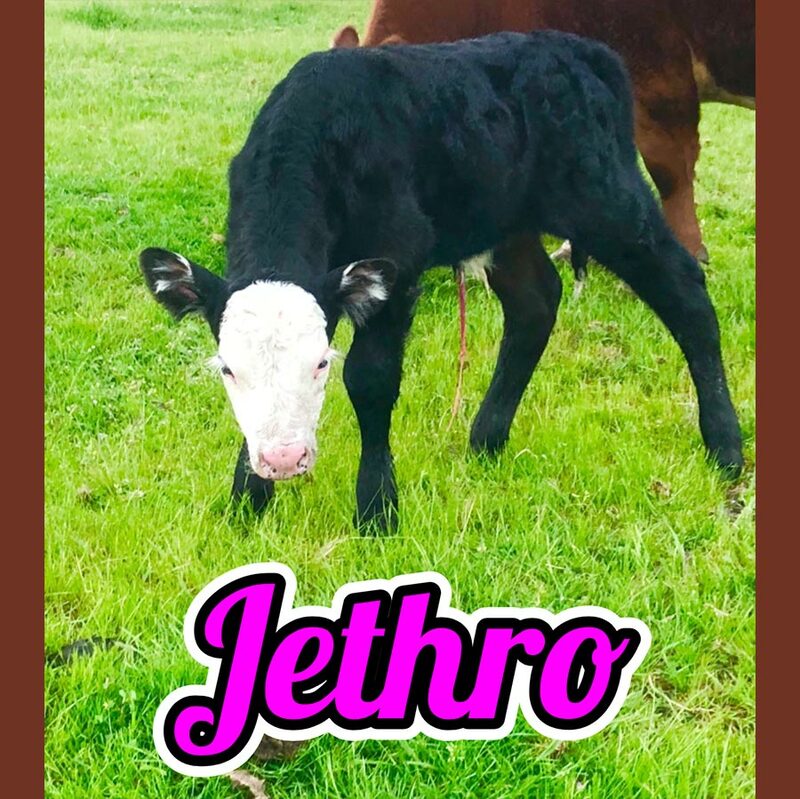 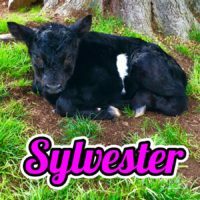 Registered Micro-Mini Heifer Born: 7/30/17 1/2 American Beltie, 1/2 Kentshire. 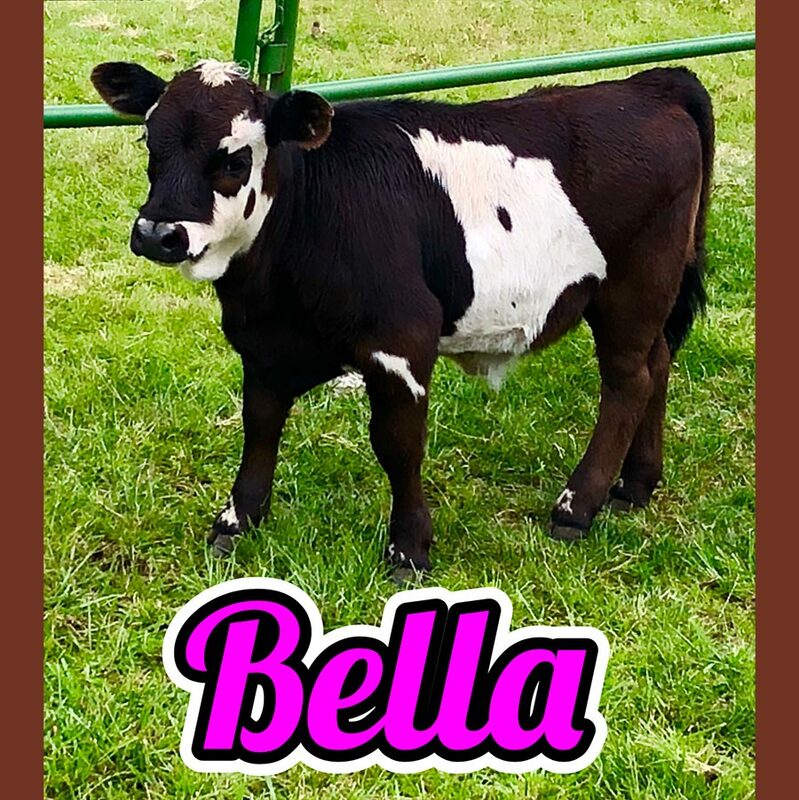 Dam: Betsy Sire: Rebel Expected to mature to about 36" in height. 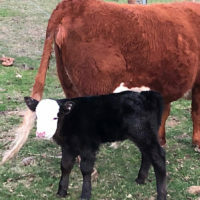 See how our calves are measured. 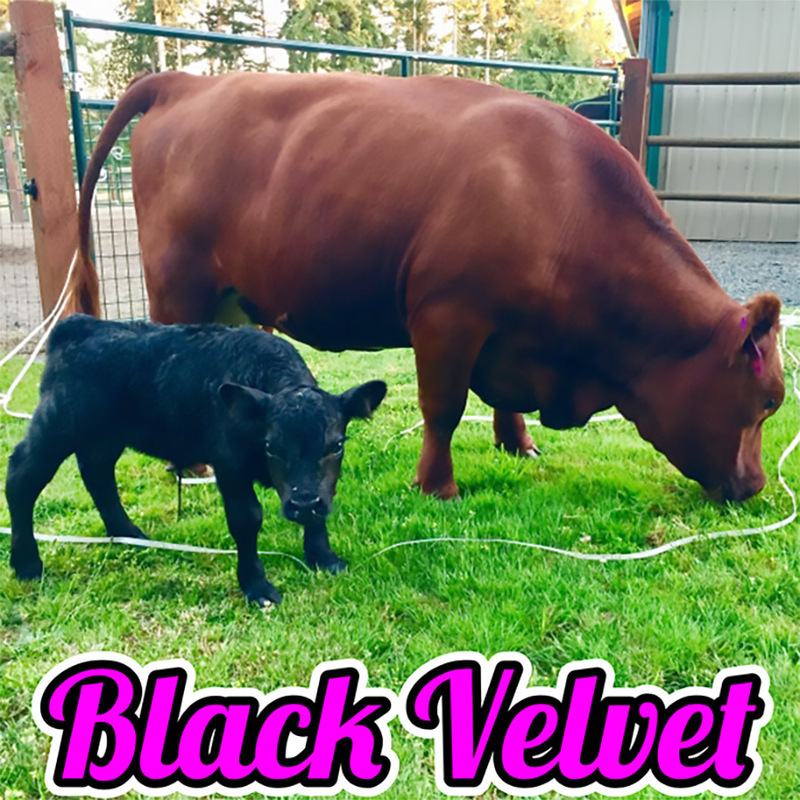 Sold for $2,800 to Denise in Vancouver, WA.